August 2016 – THE BOOKS THAT TIME FORGOT. War between the Nazis and the Trans-Global Alliance has broken out. Dietrich Zimmer starts it by launching a nuclear attack on the gathering army of the Alliance. This is very dangerous because the planet has still not recovered from the last nuclear war. If this wasn’t enough the volcano eruption in Hawaii has opened a rift. The rift is heading toward the North American Plate. Once there is was go down the fault all around the Pacific and blow the Earth out of orbit ending all life. Only a large nuclear explosion might seal the rift but they would need the Nazis weapons with the ones the Alliance possess. With all this potential doom Rourke still has to rescue his wife. Thus he puts in motion a daring raid to capture the Nazi headquarters in Canada. So the Earth is once again is serious danger. If not from another nuclear war then a doomsday scenario with the volcanic rift. 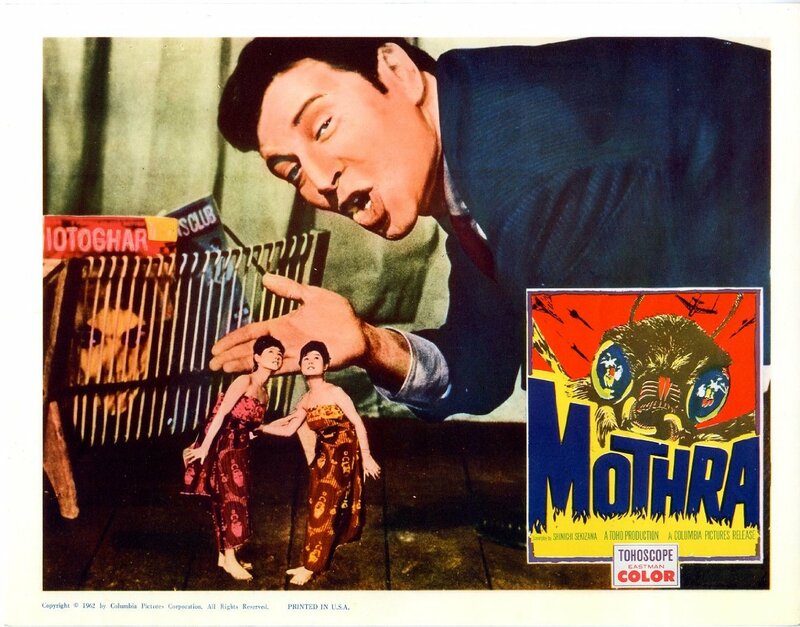 Then he also has to rescue his estranged wife who may or may not be a clone and not the real thing. The story keeps the reader in suspense on how it will be resolved. One thing I didn’t like is a new character that was introduced and killed off. Alan Crockett a archeologist and adventurer had a lot of potential. It was sad to see him go so soon. Nazis have managed to assault the secret bunker where Sarah Rourke and Wolfgang Mann are in cryogenic sleep. Now with Rourke’s wife in Dietrich Zimmer’s custody he receives an offer. To trade Martin Zimmer for his wife and Mann. In addition Dietrich will perform the life saving surgery to remove the bullet from Sarah’s brain. Only problem is Martin died in the last book. He decides to bluff and uses his son Michael to impersonate Martin. So the Rourkes go off to Dietrich’s headquarters in Canada to make the trade. Once there Dietrich announces he has revived his wife and performed the surgery. There is one more condition that he has to return his wife. An underground base in New York has survived and still has a civilization. It also holds the frozen body of Adolph Hitler where the US government stored it after the war. Rourke must lead some Nazi commandos into the underground civilization to retrieve the body. 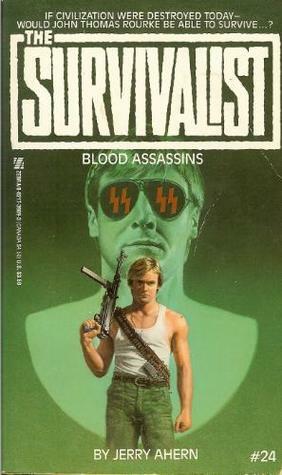 So taking his friend Rubenstein and a group of Nazis penetrate the base. They find a civilization stuck in the 1950’s run by a white supremacist government. The government keeps control by manufacturing a phony war going on against hordes of Jews and blacks. To maintain the fiction they periodically kill a number of young men to stimulate casualties. Rourke finds out a much more insidious reason for Dietrich’s plan. The story takes a very interesting turn in this book. Open war is breaking out between the Trans-Global Alliance and the Nazis who control Eden. It is also learned that Dietrich has perfected cloning and the Martin that died was actually a clone. In addition to Hitler’s body he also wants research that will allow him to download his conscious into a clone thus achieving immortality. Now I don’t know why the government would bother to save Hitler’s corpse. I would think they would just cremate it like they did with other Nazis after to war. But government does some stupid things so it is plausible. The whole cloning thing came out of nowhere and the revelation that Martin is alive was quite unexpected. Could his wife be a clone. There is evidence that he was able to retrieve years ago samples of all the Rourke family DNA while they were in cryogenic sleep so there could be clones of all of them. Quite an interesting development for the Survivalist sage. Rourke and his family have successfully managed to escape with Martin Zimmer and bring him back to Hawaii. The Hawaiian islands were resettled by the Americans of Mid-Wake. He has little time to relax as the Nazis of Eden are starting to carry out their plan for invasion. Already teams of SS commandos have infiltrated the island and started terrorist attacks. To make matters worse the volcano of Kilauea is about to erupt. 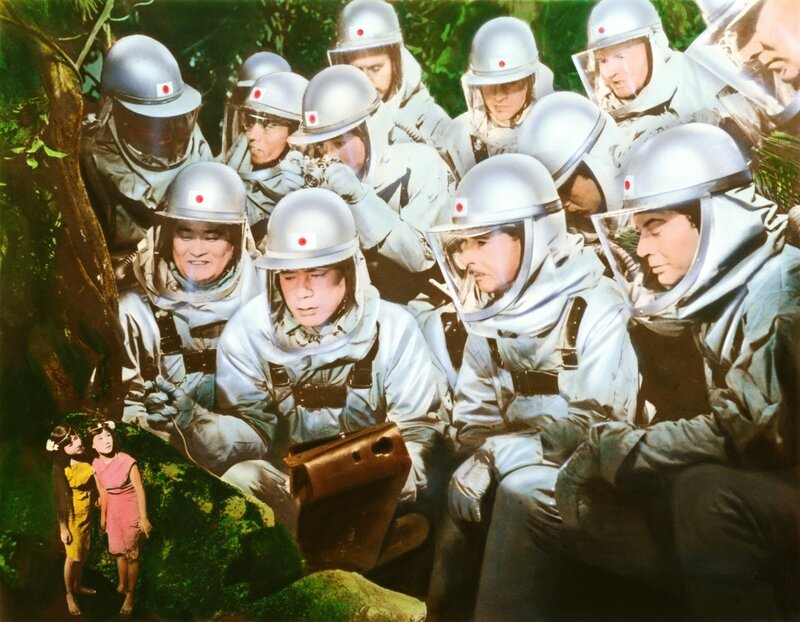 A team of Nazis have successfully rescued Martin and have taken shelter next to the erupting volcano. The story takes place mostly on Hawaii. This is sort of a post-post-apocalypse story now. This is the first that the Rourkes have spend in a normal environment. There is a functioning society with electricity, cars, TV and fast food. Little has changed in the six and a half centuries with American society. Unfortunately the terrorist is a very familiar problem. The Nazis attack a school and murder eighty-six kids. Ahern was very prescient on the future it seems. 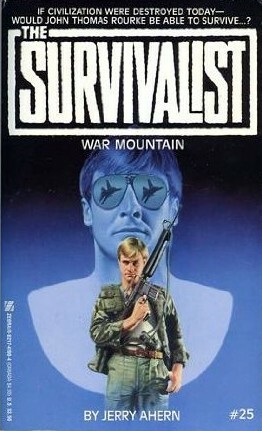 Another big development is at the end Rourke is fighting with his son Martin who is trying to escape and he falls out of the plane into the volcano. It devastates Rourke that he is responsible for killing his son even thought the son was a total tool. It also complicates his plan to have Dietrich Zimmer perform life saving surgery on his wife. Rourke and his family have managed to capture his son Martin Zimmer the leader of Eden. He hopes to use Martin as leverage to force Dietrich Zimmer to perform lifesaving surgery on his wife in exchange for the return of Martin. They flee into the large rift valley that has formed where the Mississippi once flowed. Now they have to avoid the Land Pirates the lawless groups that travel in large mobile fortresses the size of an aircraft carrier. To distract the Eden forces Michael Rourke impersonates Martin since they look so much alike. It is while impersonating Martin that Michael finds out Eden’s plan to launch a sneak attack on Pearl Harbor to capture the US fleet. On top of this Michael must also deal with the SS head Otto Croenberg who wants to take over the government and tries to assassinate Michael. 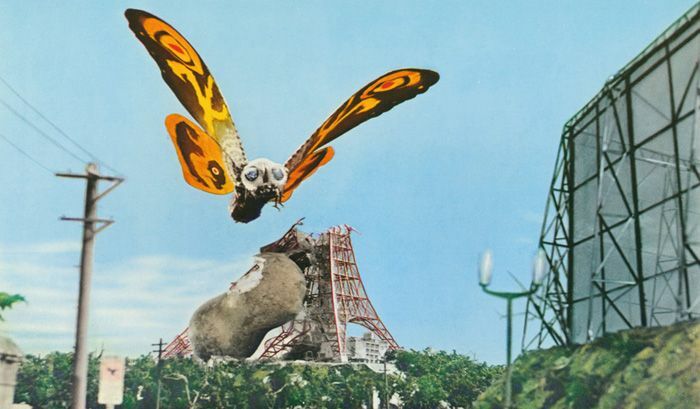 So we get some more insight into this new future world that the Rourkes find themselves in. Not a real pleasant place with a new war just on the horizon. There is obvious discontent within the Eden government. Its also interesting that Michael is now in love with Natalia. This was the plan of John’s all along and I thought it was a surprising development. It also introduces Emma Shaw a naval pilot as a potential love interest for John Rourke. It’s hinted at in the book that John and Sarah’s marriage was strained and when he eventually saves his wife they will probably go their separate ways. The story has really changed and grown throughout the decade which makes it fresh. The end is coming for the Soviets. Rourke and his allies manage to assault and capture both the underground and underwater city. There is now peace in the world and Rourke settles down and sets up a clinic outside Eden. But there are still sinister forces at work. Dietrich Zimmer the head of the Nazis attacks Rourke’s clinic. He shoots his wife Sarah in the head after she gives birth to their son and the son seems to have died in the attack. 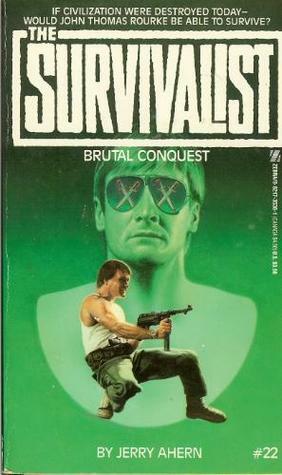 Rourke is himself seriously injured and goes into a coma. The only way to save them is to put both Rourke and Sarah into cryogenic sleep in the hopes that some future technology can save them. After Zimmer fakes his death the Rourke family Paul, Annie, Michael and Natalia decide to go into cryogenic sleep with Rourke so the two won’t be alone when they wake in the future. Go forward 125 years into the future. Rourke and his family with the exception of Sarah and Wolfgang Mann who also took the sleep. There is a new threat to the world. Eden has been taken over by the Nazis and is now a major military power that threatens the world. The Trans-Global Alliance lead by the U.S. is the only force that opposes them. Rourke and this family are believed dead, killed in a join Nazi-KGB suicide attack. This was encouraged to protect the Rourke’s and now John Rourke is a legend. His face is on the money. His retreat is a tourist attraction and there’s a movie made about him. What is most disturbing is that his son is still alive and was raised by Dietrich Zimmer. Martin Zimmer is a cruel racist Nazi who Dietrich has also mixed in the genes of Adolf Hitler. 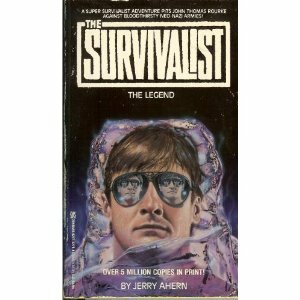 This was the tenth year anniversary for the Survivalist and Ahern decided to really give the fans something new. Its a really unique idea to move the family into the future. This future world has infinite possibilities for all new adventures. I especially enjoyed Rourke’s reaction to the cheezy movie with a beefcake actor that portrays him. The story has bit of humor in it. You can always count on people to screw up the world. It looked like there would finally be peace but instead a Nazi super-state was allowed to develop. 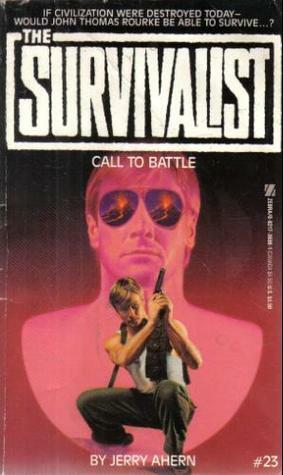 There were five million books in print of the Survivalist. Translated into Japanese and French this series had a worldwide following. While most of the post-nuke series died off in the ’90s this one was still going strong. Now a new world with new enemies and friends. A son who is the main protagonist. I think that the main success of this series is what Ahern stated in the introduction is his belief that good triumphs over evil. A simple concept that too many writers tend to lose track of. So begins the third story arc in the Survivalist saga.